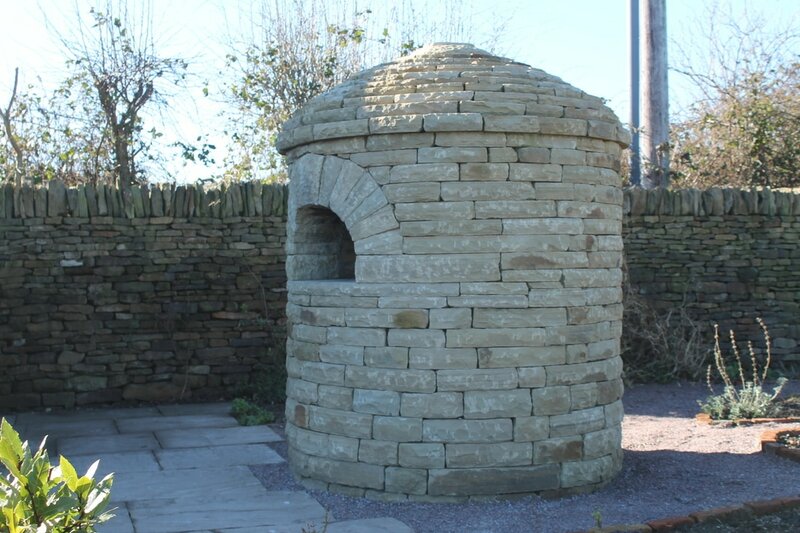 We are skilled masons and stone-carvers and can create free standing ornamental or functional structures that can sit in a contemporary or traditional setting. 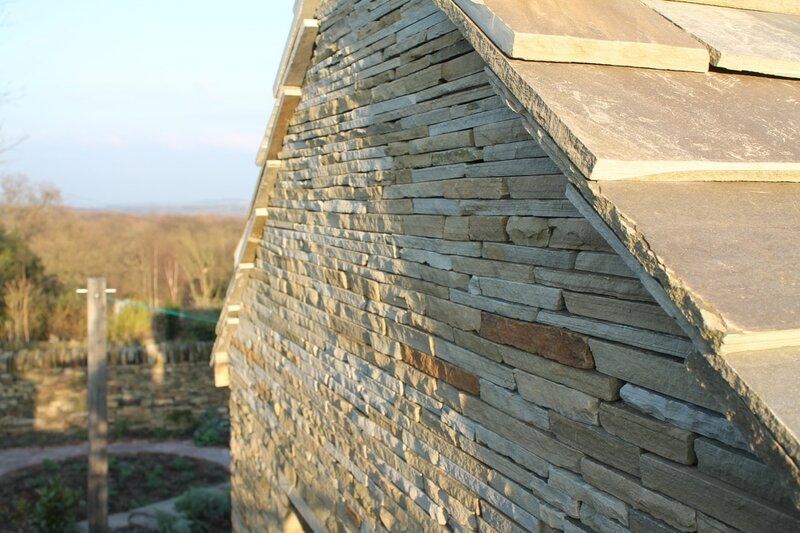 Over the years we have completed stone clad buildings an structures and are expert at lime mortared or mortared stone cladding that gives a dry stone appearance. 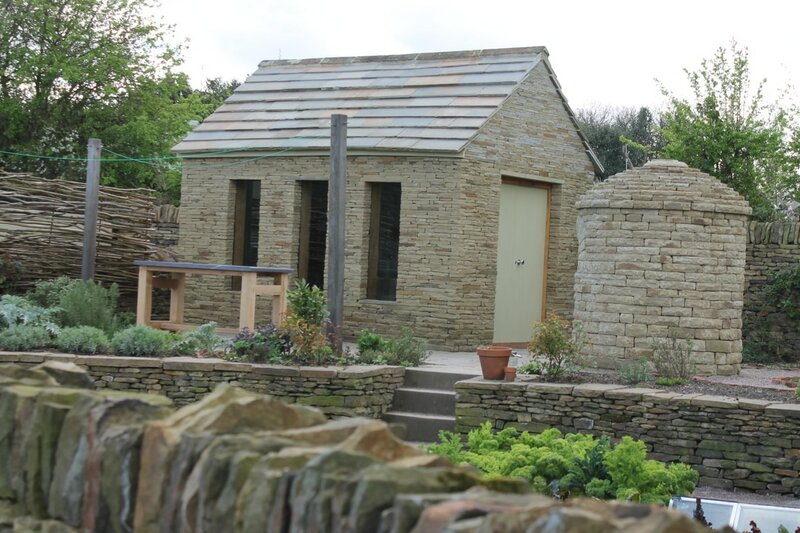 We also use these skills to build smaller stone structures in gardens such as sheds and summer houses that have a traditional and contemporary appearance. The pictures below show a garden shed/summerhouse that we building. 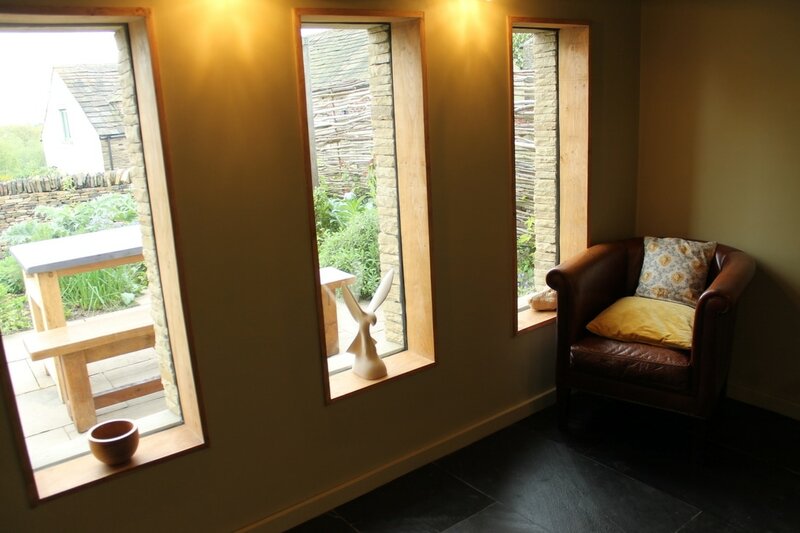 The design is contemporary and we cropped and chiselled all the stones in situ and by hand to create an interesting natural stone effect from a local sandstone for the exterior walls. We also cut the sandstone roofing tiles ourselves in order to replicate a roof traditional to the area rather than importing slate. The result is a building that will look totally at home in its environment. 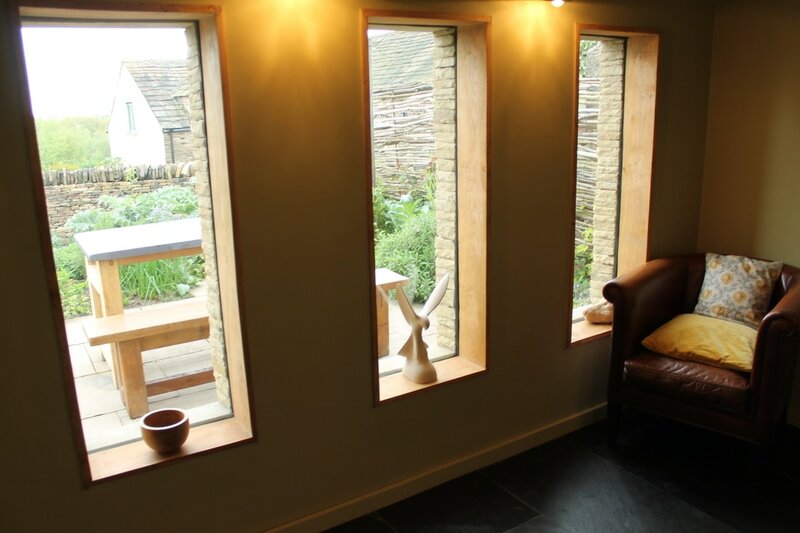 We can design and build small stone structures like this, sourcing local materials. 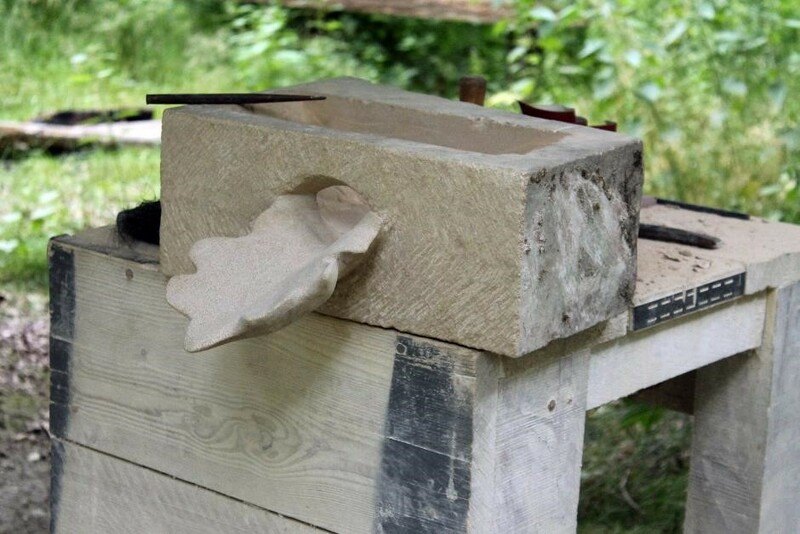 Part of rainwater collection system, this spout was carved into the shape of an oak leaf from a single block of Portland limestone by our trained sculptor/mason Oliver. 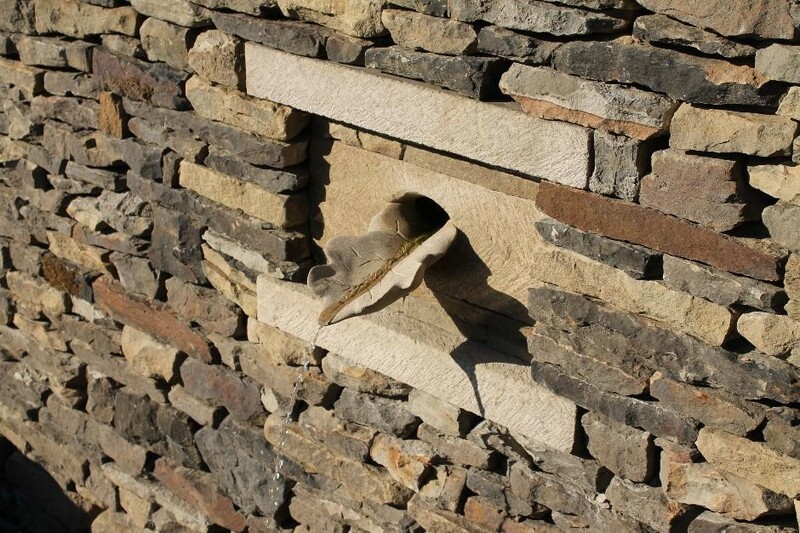 It was then built into a dry stone wall and transformed what could have been a mundane feature into an attractive sculptural piece. 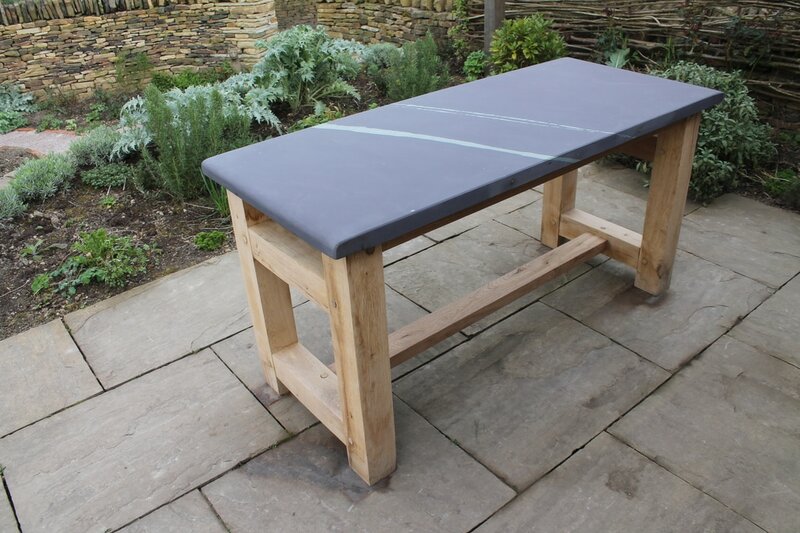 Our stone and oak tables are built to last because the materials are so enduring even outdoors. 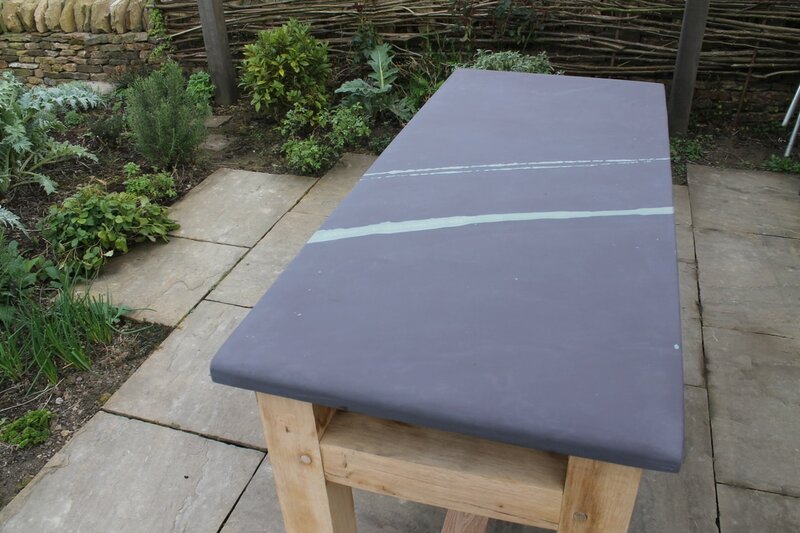 We have designed and crafted slate top tables with green oak traditionally jointed and dowelled bases. 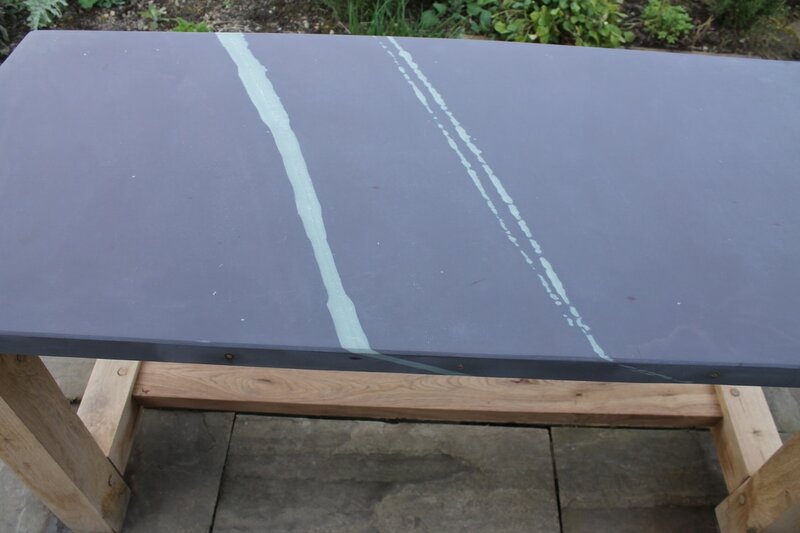 The welsh slate in these tables is naturally striking because of its colouring and markings and its thickness lend it strength. A centrepiece to a garden as well as a feature to gather and relax and enjoy food and drink.